Freepia was small GNU/Linux distribution designed to run on VIA EPIA-M mainboards. It currently only runs on the M-9000 and M-10000 (ezra and nehemia CPU) but with some modifications like kernel and X11 modules it should run on others too. The main goal of this project was to build a full-featured, low-noise media box to play movies, MP3s, images, etc. It uses freevo as its media viewer, but in the future there may be support for others, like mythtv or vdr. Questions and answers: LSB - does it matter? Rate this project LibreELEC is a minimal Linux distribution for running the Kodi media centre. The LibreELEC project has published a new development snapshot, LibreELEC 9.0 Alpha (which also carries the build number 8.90.003). The new alpha release introduces changes to hardware support and is available for generic x86 personal computers and Raspberry Pi computers. "The LibreELEC 9.0 Alpha cycle has started! and releases for Generic (x86_64) and Raspberry Pi hardware have been published. At this stage there are still some important technical decisions to make and work to complete before we start Alpha releases for Amlogic, Rockchip and Slice hardware (August is also holiday season). There are no plans to release LibreELEC 9.0 images for NXP/iMX6 hardware as support was removed from Kodi some months ago. Support will be reinstated in a future LibreELEC release and we will update you on progress with the next-generation Kodi video pipeline (which makes that possible) soon." Further details can be found in the project's release announcement. Download: LibreELEC-Generic.x86_64-8.90.003.img.gz (226MB). LibreELEC is "just enough OS" to run the Kodi media centre. LibreELEC is a Linux distribution built to run Kodi on current and popular hardware. The project's latest release, LibreELEC 9.0, includes a number of security improvements. "Changeable SSH passwords and a default firewall configuration have been added to combat the increasing number of HTPC installs that can be found on the public internet. The increase is partly due to simple maths; our userbase has grown so the number of users inappropriately exposing their HTPC to the internet has also grown. The static password for libreelec is present on most/all password dictionary lists so it’s important we start encouraging users to change it (the first-run wizard will prompt when SSH is enabled). More people are using VPN services for privacy without realising this exposes SSH/SMB/Web services. To combat this problem we have added simple firewall configurations for Home/Public networks; the Home configuration blocks inbound connections from non-private networks, e.g. traffic from the Internet to the public IP address used with the VPN connection." Further details can be found in the project's release announcement. Download: LibreELEC-Generic.x86_64-9.0.0.img.gz (240MB, SHA256). LibreELEC is a minimal Linux distribution for running the Kodi media centre. The LibreELEC project has published a new development snapshot, LibreELEC 9.0 Beta 1 (which also carries the build number 8.95.1). "LibreELEC 9.0 (Leia) Beta 1 has finally arrived after a long gestation period. Based upon Kodi v18 RC3, the 9.0 Beta 1 release contains many changes and refinements to user experience and a complete overhaul of the underlying OS core to improve stability and extend hardware support. Kodi v18 also brings new features like Kodi Retroplayer and DRM support that (equipped with an appropriate add-on) allows Kodi to unofficially stream content from services like Netflix and Amazon. Compared to 8.2, major changes are: Settings add-on: Changeable SSH passwords. Default firewall (iptables) with simple configurations for Home/Public networks. Updates are moved to their own menu, other options are cleaned up a little. Safe Mode boot when Kodi experiences startup problems." Further details and download links can be found in the project's release announcement. Download: LibreELEC-Generic.x86_64-8.95.001.img.gz (239MB). 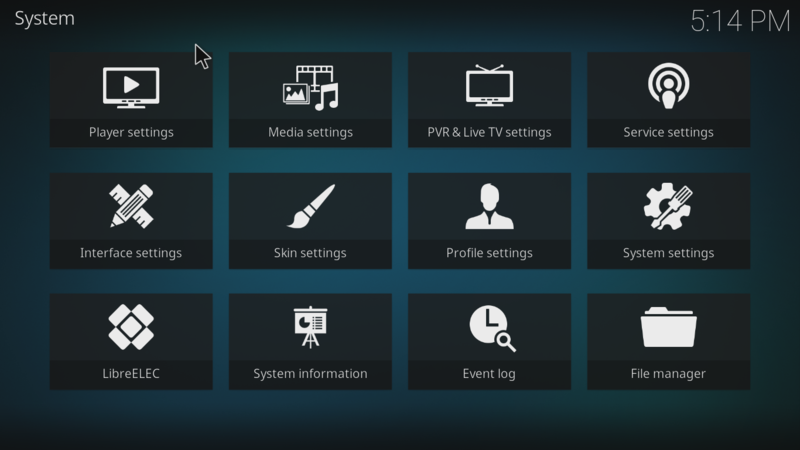 LibreELEC is a minimal operating system designed to run the Kodi media centre. LibreELEC runs on desktop computers, laptops and ARM-powered devices such as Raspberry Pi computers. "Team LibreELEC celebrates its second birthday (and international Pi-Day) with the release of LibreELEC (Krypton) v8.2.4 which brings minor bug-fixes and new firmware to support the Raspberry Pi 3 Model B+ hardware announced this morning. Highlights of the new Pi hardware include: A 1.4GHz 64-bit quad-core ARM Cortex-A53 CPU; dual-band 802.11ac wireless LAN and Bluetooth 4.2; faster Ethernet (Gigabit Ethernet over USB 2.0); power-over-Ethernet support (with separate PoE HAT); improved PXE network and USB mass-storage booting; improved thermal management. Improvements to WiFi stability and performance on the 3B+ are noticeable. In private testing over the last two months we have been able to stream typical HD media over a 5GHz network at 105Mb/sec without the buffering and dropouts seen with the previous (2.4GHz only) model, and even 2.4GHz speeds reached 50Mb/sec where the 3B struggled to reach 35Mb/sec." Further information is available in the project's release announcement. Download: LibreELEC-Generic.x86_64-8.2.4.img.gz (212MB, SHA256, torrent). LibreELEC is a minimal operating system dedicated to running the Kodi media centre. LibreELEC runs on x86 personal computers and ARM-based computers, such as the Raspberry Pi. The project has released LibreELEC 8.2.1 which features time zone fixes and security improvements to Samba network shares. "LibreELEC 8.2.1 is a maintenance release that includes Kodi 17.6. It also resolves a minor time-zone issue after recent daylight saving changes, a resume from suspend issue with the Apple IR driver, and it provides two new SMB client configuration options in Kodi settings. You can now set a minimum SMB protocol version to prevent prevent SMB1 from ever being used, and a 'legacy security' option forces weak authentication to resolve issues seen with the USB sharing functions on some older router/NAS devices. If updating to LibreELEC 8.2 for the first time please read the release notes below here before posting issues in the forums as there are disruptive changes to Lirc, Samba, and Tvheadend." Further information can be found in the distribution's release announcement. Download: LibreELEC-Generic.x86_64-8.2.1.img.gz (212MB, SHA256). The LibreELEC project develops a minimal operating system which is dedicated to running the Kodi media centre. The project's latest release, LibreELEC 8.2.0, introduces changes to Samba, dropping the SMB1 protocol and supporting SMB2 and SMB3. "The Kodi SMB client now defaults to SMB3 connections but can fail to negotiate SMB3 with old Samba (NAS) versions. A new option in Kodi Settings > Services > SMB client > allows SMB2 or SMB1 to be forced for compatibility with legacy SMB servers. The embedded Samba server defaults to and supports only SMB2/SMB3 connections. The LibreELEC Settings add-on allows the minimum protocol version to be changed, e.g. to enable SMB1 for compatibility with legacy SMB clients. It also supports GUI configuration of WORKGROUP name. Samba detects v3 /storage/.config/samba.conf configurations and ignores them to avoid the Samba service failing on startup. If this happens Samba starts with a default v4 configuration. Custom Samba configurations must be updated to use the new Samba 4.x base template (samba.conf.sample)." Further information is available in the project's release announcement. Download: LibreELEC-Generic.x86_64-8.2.0.img.gz (212MB). LibreELEC is a minimal operating system designed to simply run the Kodi media software on a range of popular hardware platforms. The LibreELEC project has released a new development snapshot, version 8.1.2 Beta. The new development release fixes the Blueborne vulnerability in Bluetooth and corrects some issues with Samba. "This is the third beta for our 8.2 release. It addresses minor findings related to the Samba bump: we now detect and avoid invalid Samba v3 configurations, old samba.conf.sample templates are overwritten with the new v4 template, and remote SMB shares are mounted using SMB2 or where possible SMB3. The release also adds support for the Raspberry Pi IQAudIO Digi+ board and a Xiaomi BT remote, and includes security fixes for the Blueborne Linux/BlueZ vulnerability. This is hopefully the final 8.1.x beta release; next will be 8.2.0." A complete list of changes can be found in the project's release notes. Download (SHA256): LibreELEC-Generic.x86_64-8.1.2.img.gz (212MB). 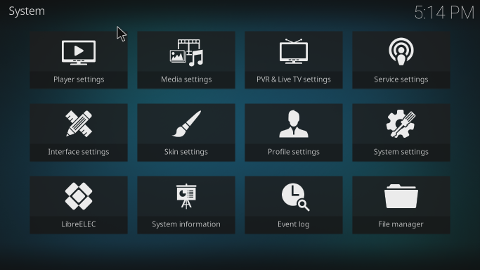 LibreELEC is a multi-platform, minimal operating system for running the Kodi media centre. The project has released a new development snapshot, LibreELEC 8.1.0 Beta. The new snapshot swaps out the LibreSSL security library for OpenSSL, introduces SMB3 protocol support via Samba 4.6, and introduces several driver and firmware upgrades. "This is a beta of our 8.2 release; a mid-year bump to enhance hardware support and capabilities. It adds 10-bit HEVC support for recent Intel GPU generations, Samba 4.6 which brings support for SMB2/SMB3, and several SSL issues are resolved in a switch to OpenSSL. We continue to refine firmware we embed; removing old and unused files to reduce image size while adding new drivers and firmwares based on team findings and user reports. Kodi is updated to 17.4-RC1 with minor bug fixes since v17.3." Additional information and a list of download links for LibreELEC's supported devices can be found in the release announcement. Download: LibreELEC-Generic.x86_64-8.1.0.img.gz (212MB, SHA256).